The 5 day Master Aesthetic Practitioner package is perfect for new practitioners that are serious about furthering their career in aesthetic medicine and standing out from the competition. The package includes our Foundation Course, Advanced Course, Lip Filler Masterclass, Advanced Masterclass in Facial Contouring, and our PDO Thread Lift training course. By booking all five courses together you are saving 10% on the usual booking price! You will take the journey from beginner, through advanced and expert level to become a master through our step-up pathway. Our foundation, advanced, masterclasses, and thread lift training courses will teach you the most common, popular and cutting-edge treatments in the industry. Derma Medical added the PDO Thread Lift training course to our training portfolio earlier this year. Delegates now have the opportunity to book this alongside our other Botox and dermal filler courses in the Master Aesthetic Practitioner 5-day package. We also run the 4-day Complete Cosmetic Clinician package without the PDO Thread lift training day included. 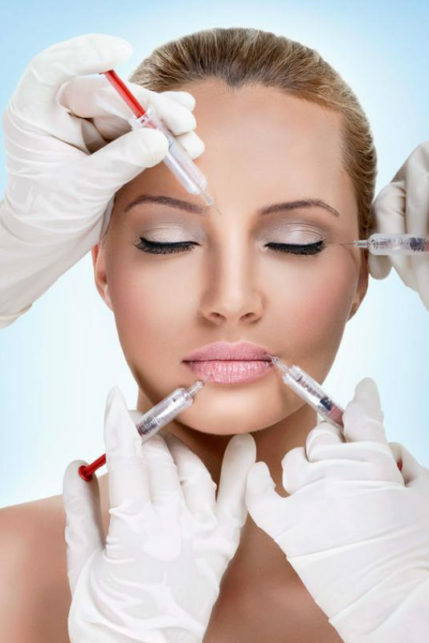 ✓ Learn every cosmetic injectable procedure in the industry: Includes 12 common Botulinum Toxin treatments and 10 common Dermal Fillers treatments offered by leading cosmetic clinics. ✓ Complete all 5 courses in just 5 days: We’ve arranged our training dates to make it possible to book all five courses over a 5 day period on selected dates at our London training academy. This is perfect for International delegates looking to fly in and complete all courses in under a week. ✓ You can offer your clients a wider portfolio of treatments: Many patients are now looking for cutting-edge treatments such as Non-Surgical Rhinoplasty, Tear Trough Fillers and Chin & Jawline Sculpting – all taught on our Advanced Masterclass in Facial Contouring. ✓ Plenty of practical experience on live Cosmetic Models: All of our courses include 50% practical work on live models to ensure you are ready to start practising safely and confidently immediately after the training day. ✓ CPD Accredited: You will earn 32 CPD points for completing the Master Aesthetic Practitioner Package with Derma Medical.